The five-metre-long veil is made from silk tulle and embroidered with the flora of the 53 countries of the Commonwealth, a reference to an important part of The Duke and Duchess of Sussex's official work following His Royal Highness’s appointment as Commonwealth Youth Ambassador. The Duchess added two of her favourite flowers to the embroidered decoration: Wintersweet (Chimonanthus praecox), which grows in the grounds of Kensington Palace in front of Nottingham Cottage, and the California Poppy (Eschscholzia californica), the State flower of The Duchess's place of birth, California. 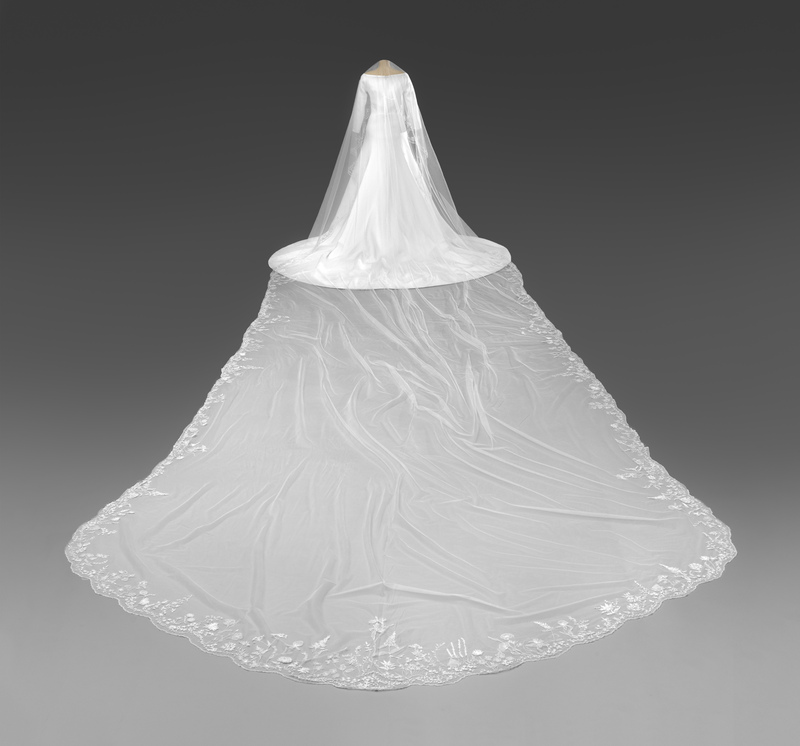 Embroidered ears of wheat, symbolising love and charity, are symmetrically placed at the front of the veil, which is edged with embroidered organza flowers. It took the team of embroiderers hundreds of hours to create the design, washing their hands every 30 minutes to keep the tulle and threads pristine.